*Pakistan has already won the series 4-0. They will continue to experiment with their lineup. So this match will be risky. *Fakhar Zaman and Imam ul Haq demolished Zimbabwe with their opening partnership. *Fakhar Zaman continued his wonderful form and scored first Double century by a Pakistan player. *So Nawaz can come in for Sadab Khan or Yasir Shah and Hafeez can replace Malik. *Pakistan are not expected to make changes in the pace attack. 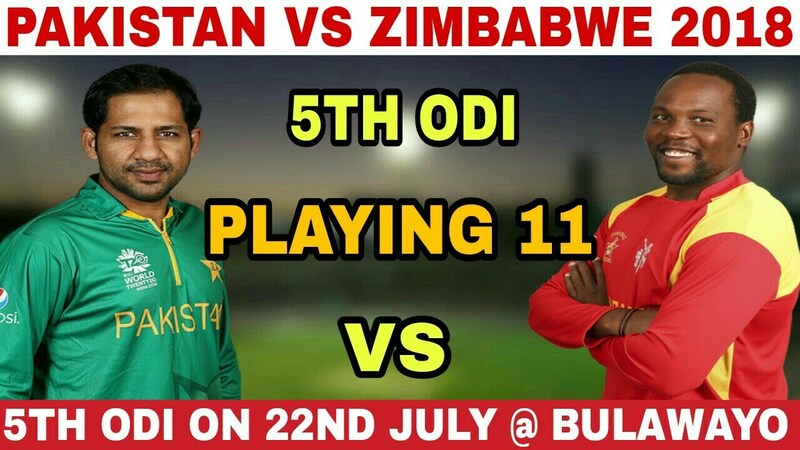 *Zimbabwe are in poor form and we don’t expect them to show any fight in tomorrow’s match.